Hawaii Calls albums are rare in digital format. The cover art on this download only release is from the very first Hawaii Calls 10" and LP records, but the song selections are not from that release. 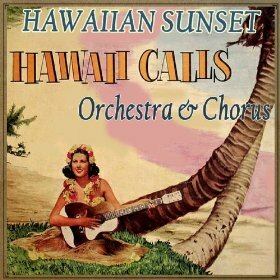 I'm not sure what releases these songs were pulled from but this download release is a compilation of various Hawaii Calls tracks that sound a great deal as if they were from later 60's releases and not the early to mid 50's classics.